We operate a fully interactive mobile disco service where you can tell us exactly what you do (or don’t!) like about DJs and mobile discos and we’ll use this information to get everything just right for you and your guests. We will play whatever music you’d like us to, through a High Quality Sound System, at the volume you want. We openly encourage customers to send a Playlist or to give us any music preferences- we really do want to get your music absolutely spot-on for you! We will also set-up a Full Light-Show and any (or all) of our array of Special Effects (at no extra charge). You can even tell us how much you'd like us to use the microphone (or not!). We will send the Right DJ for your mobile disco needs, and set-up the Right Equipment to turn Your Celebration into Your Perfect Party. Weddings, Birthdays... or indeed any Celebration you can think of! We had fun. Thank you played a good range of musi. Good pre-event communication. Friendly DJ. Great music on the night, with good light show & smoke. We would use again for future events! My daughter had a fantastic birthday and the Dj was polite, friendly and played all the songs we wanted. Would definitely recommend theses guys. The DJ was really good and looked after us well. Very pleased with the disco provided. Our DJ read the audience well and played exactly the right material for our diverse group. Everyone had a fabulous time. 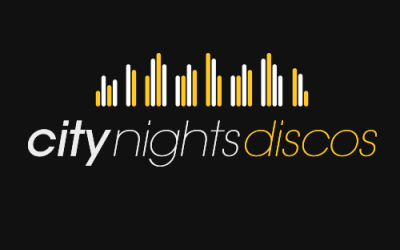 City nights disco were wonderful, comunication was easy and very responsive. The DJ was very helpful and the music was everything we asked for. Everyone from young to old loved the silent disco it just works on every level. We highly recommend them. Our DJ was Ritchie and he was able to hold the attention of almost 40 children of different ages for 3 hours! And a little something for the parents at the end went down very well and hand them out of their seats and dancing. When he was done and told the children that was the end, there was a loud resounding "Noooo"! We were all very delighted. Would definitely use them again. Ritchie was on time, very polite, played all the songs that were requested and stayed well away from the "do not play" list. He was open to suggestions throughout and worked well with us with a big smile. Wonderful service and such a great evening. Thank you. 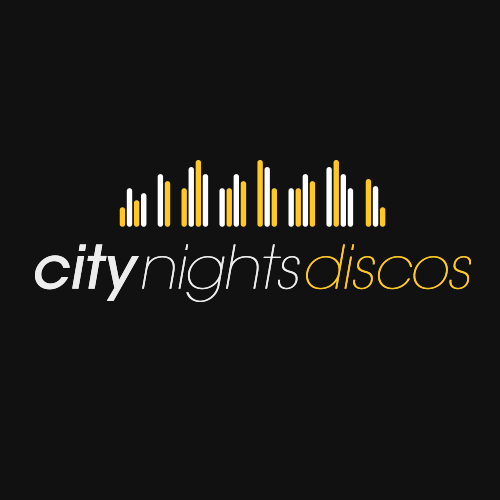 Get quotes from City Nights Disco and others within hours.